On the 15th of each month, at 12 o’clock sharp Paris time, we post a photo on a theme chosen by Photo of the Month, a group of worldwide amateur bloggers and photographers. An opportunity to share our photographs and the memories behind. The theme for March is sensual, chosen by Lau* des montagnes. 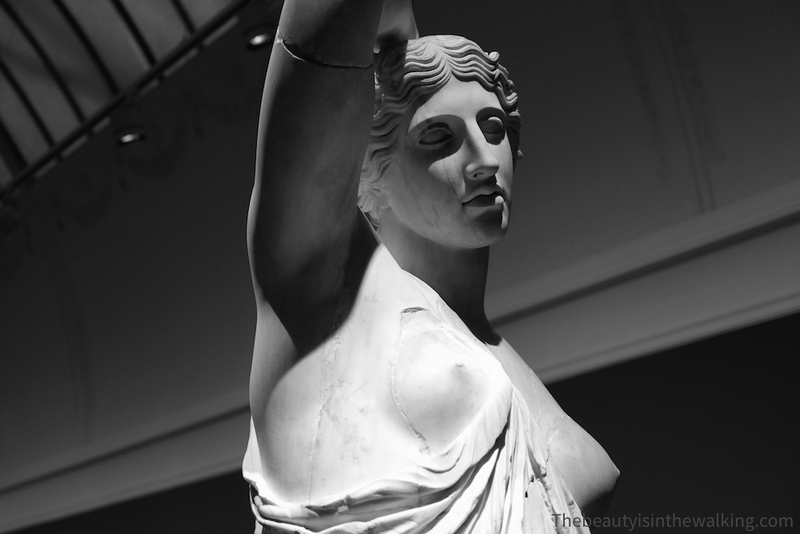 The other day, we went to visit Copenhagen’s Glyptoteket. Well, as it has many different collections, we spent the afternoon in Antiquity: Egypt, Rome, Greece, among white marble statues. And their milky white smooth skin, their confident postures, their muscular bodies, their elaborate hairstyles with buns and curls, and their draperies that wraps, shape, outline bodies … We found that extremely sensual. And you, what doesn’t leave you cold?